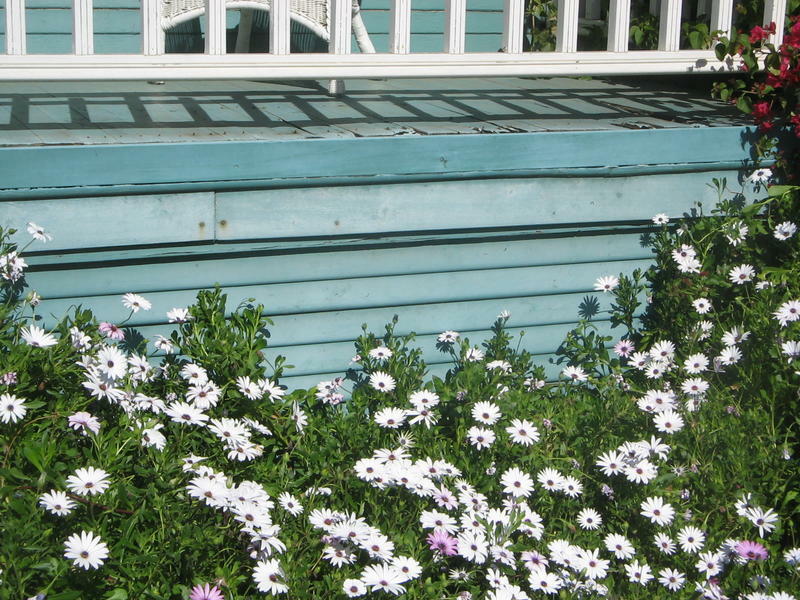 This online student discussion thread is dedicated exclusively for students who are currently enrolled in the InterNACHI free, online "How to Perform Deck Inspections" video course. Students may pose questions, post images, and write essays for this course. I already posted in the original modules. Here is a deck that displayed what appears to be rotted or decayed wood on the joist. I wrote this as a safety hazard and needed repairs by a certified contractor. 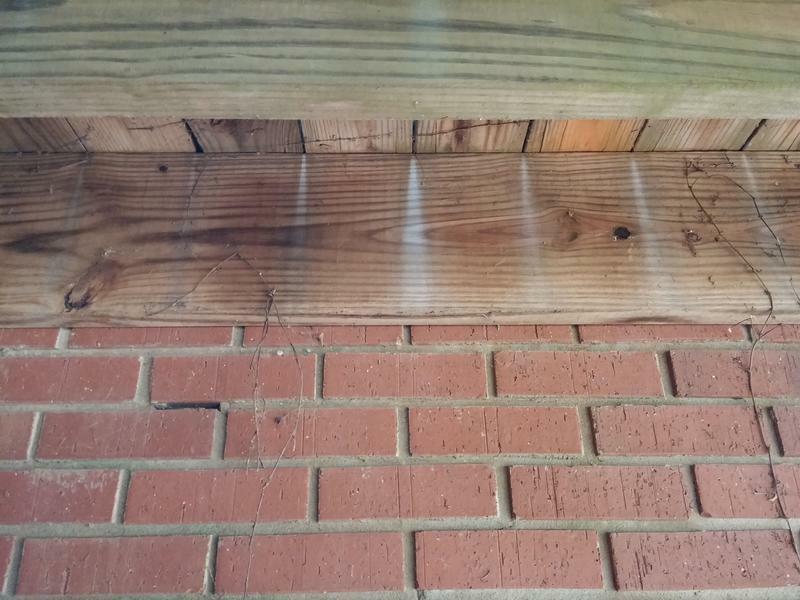 This is a picture of a front porch where the outside deck and siding have rotted due to using tongue and groove decking so water collected and rot took over. I just read the article on inspecting decks, which is a basic overview of the video course. I think that it was very informative and will help me in future inspections. I do wonder how similar inspecting a deck around a house on stilts would be to an average deck. If anyone one knows of additional reading on stilt houses or if I just have not gotten to it yet, please let me know. Very informative course…I appreciated the shorter videos! 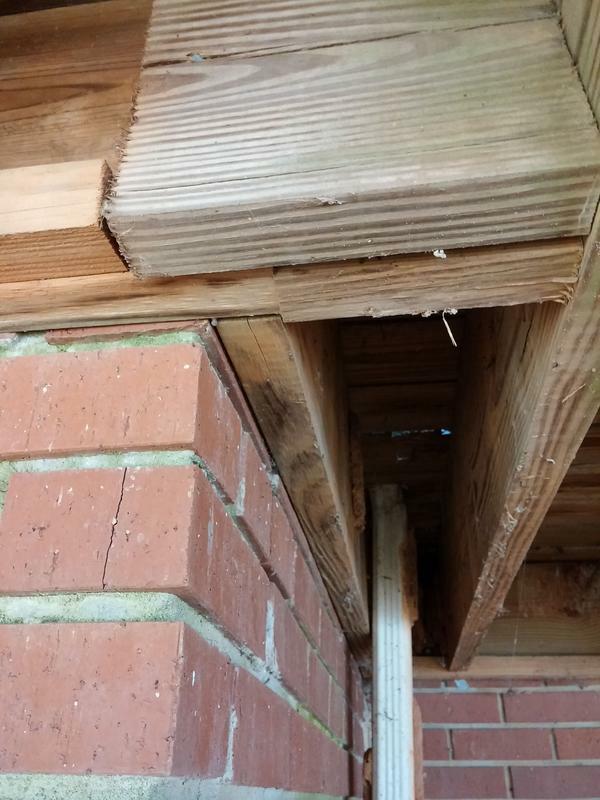 Attached is a picture of a section of deck ledger at the home we rent in GA. 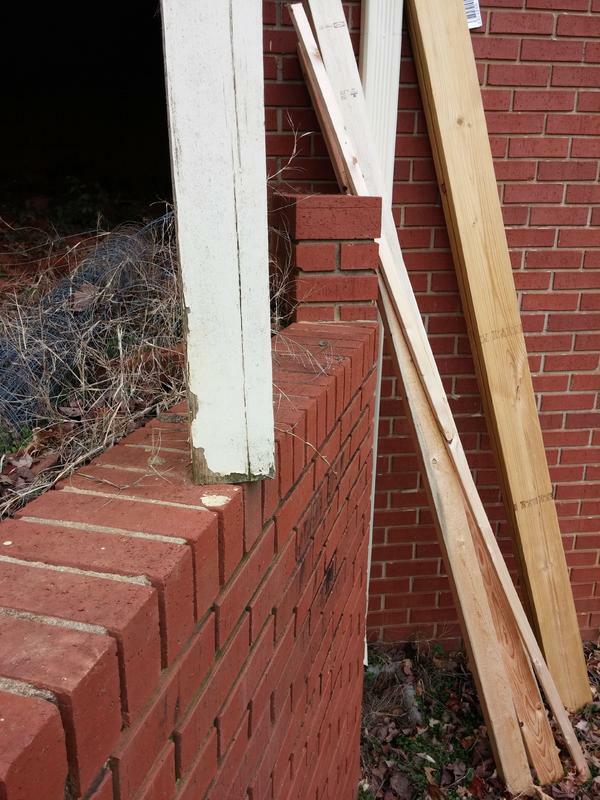 The ledger is directly attached to the brick veneer of the home, which can be a safety issue. The ledger board is attached directly to the brick veneer. Some of the boards were showing splintering, rotting, and nail head protrusion. The posts did not appear to be resting on footers, but am unable to make a clear determination of this. One of the posts was clearly not attached, but was sitting directly on top of a brick retainer wall, at the corner of the deck. The deck would benefit from additional lag bolts. Recommend a qualified contractor replace the rotting boards, and anchor the corner post. This deck is on a house in Florida. It is unfinished but the stairs were redirected as a safety issue because they were terminated in such a way that if you tripped coming down them you might go swimming. Accidentally. I live in SW Florida. There are no decks because of the humidity and rain fall. The railings on my front porch are too wide to grab. Which in turn is a safety issue that I'll be looking for thought my home now that I have more insight about what to look for. In my home remodeling business I have designed and built a lot of decks. 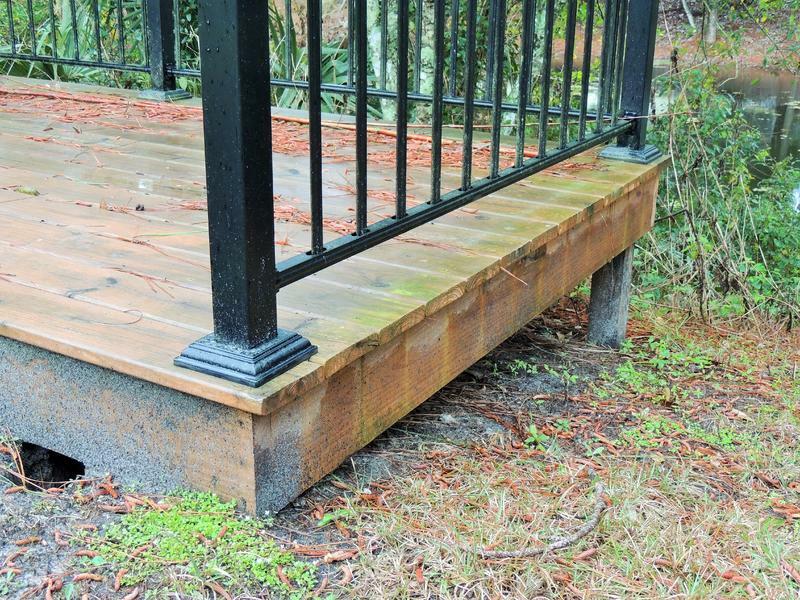 During construction the pressure treated decking is wet. I always place them together without a gap so as it dries so a normal gap will be created. If you don't, the gaps become very large. I would verify the date of construction or check the moisture content. What are your thoughts? Thus photo shows a staircase leading to a warehouse deck. The graspable handrail is properly installed, however the infill spacing in the railing is not adequate. This is a small deck over looking a creek. The wood does come in direct contact with the ground in many locations but dos seem treated and not currently showing any signs of rot. The railing is in good condition along with the floor. I would like to know if I should recommend to the customer to use a vapor barrier under this deck to extend the life or use a weather sealer or both. Please view picture attached to this thread. The guard railing has horizontal boards and too much spacing in between the boards - this is a fall safety hazard for children. - Ledger board mounted with normal nails with no weather protection coating. - Guard and Hand railing has horizontal boards with two large of spacing in between boards. The pillars were placed directly onto grade with no securement for preventing lifting or side ways movement. Consult a qualified contractor to repair the above safety issues.